BBM for Android and iOS is finally here, after a few delays, BlackBerry has released BBM for Google’s Android platform and Apple’s iOS platform. BBM for Android and iOS will let you chat across various mobile platforms, you will now be able to chat with friends who are using BBM on Android, iOS and BlackBerry devices. Have a look at some of the features below. 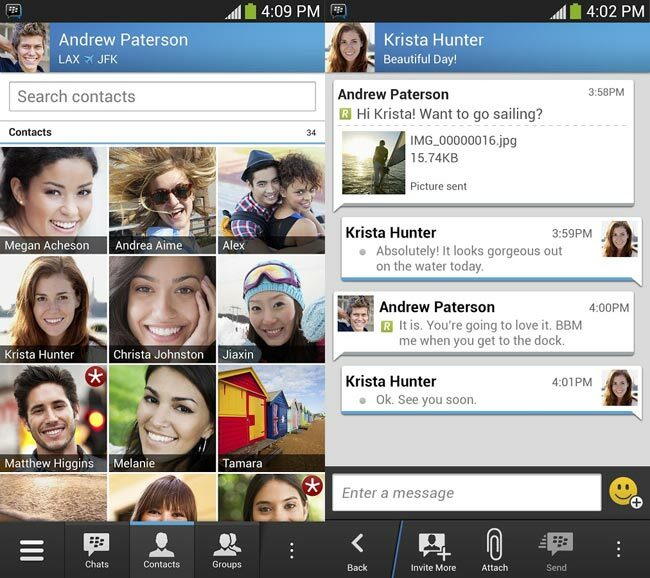 You can download BBM for Android from the Google Play Store and BBM For iOS from the iTunes App Store.